How do we power the camera (and all the accessories)? Inventing a new system around 18650 Cells. The pack goes on the backside of the Axiom Beta enclosure. B and C typ stacks can be aligned in any order. The stacks itself are screwed together. christophvarga mentioned this in T735: Smart Switching Regulator. @TWiGGZ that's fine! which proposal do you prefer? for me it is still the first one with the sony NP-F batteries. it is the simplest solution especially because non of us two can do electronics. @christophvarga I think that the first proposal is fine. 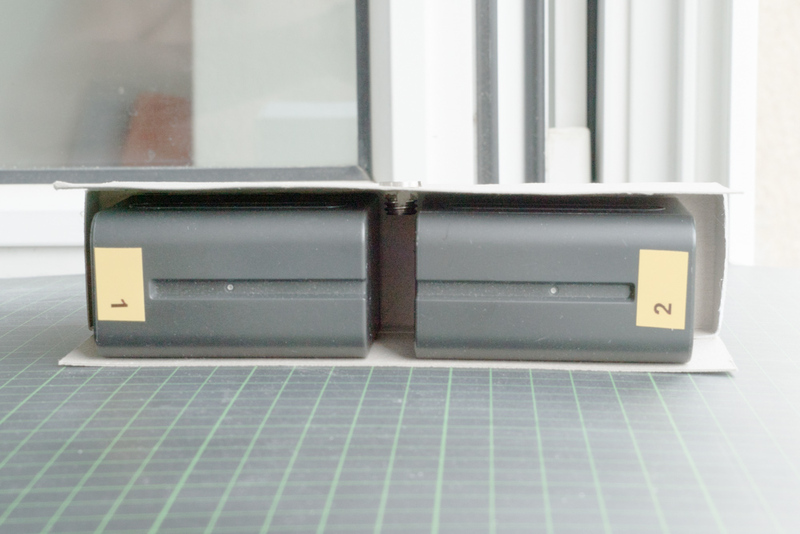 I think that finding a mounting/storing point will be a big issue as well. If you could, just post the pictures below! Thank you! Glad to be here! The Sony NP-F970 L-Series battery is 6300 mAh. How much power will the camera need? That will narrow down which proposal we can use. I have a tiny bit of experience with electronics. 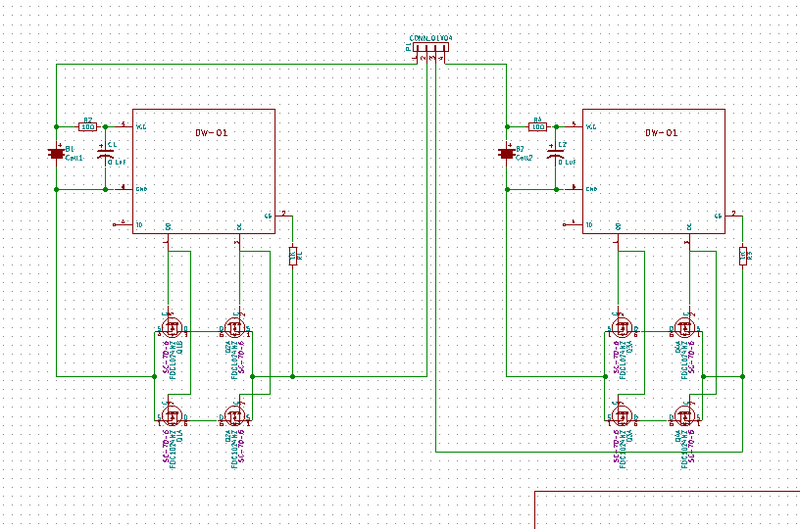 I might be able to come up with a voltage input controller. The current beta hardware requires precise 5V inputs, around 2-3A typically, 4A max. peaks. For the battery mounts II would check existing solutions to buy and integrate into our solution, since a lot of recorders, lights, etc. use this battery mount plates are pretty widely available cheaply. hi, what about such a hot swap- double battery design which fits under the camera or somewhere on the rig? for 4A it is also good to have two batteries so that (the cheap ones) don't get hot too much. i am looking forward to hear your optinion..
good point.. maybe two (upright) next to each other on the back side ? on the other hand this 'brick' will fit everywhere on a rig..
NO! that is a mistake, if you are using rods, than you put them ON the rods behind the camera.. usually..
and if there are no rods it is good to attach it to the body of the camera directly to make one sturdy body. More flexibility is of course always preferred but I had the impression we are building a camera integrated battery mount here. Such solutions to externally attach batteries to rods in several places in the rig and for several battery mount types already exist from several manufacturers no? The Atomos Power Station comes pretty close.. But what about 5v 4A ? Step down converter from their main output? The atomos power station looks rather interesting actually: Dual 5 VDC USB power outputs should be perfect for the beta. We could use 18650 industry batteries that are used in laptops, e-cigarettes, flash-lights and also previous tesla cars. Panasonics are often recommended like the NCR18650PF, but i'm no expert. I like the concept of two hot-swap batteries where i can change one without power loss. In general i think Sony NP-F battery form factor would be the best choice since it's standard in video production. The Atomos Power Station looks nice but i think we could build it way more cheaper as open hardware. Being able to attach display, light or recorder would also be useful. proposal 1, 2 or 3 that is the question..
what should be the price for it? ... It would be good to pursue this, but not in the immediate term if it starts adding weeks/months onto a potential shipping timeframe. Than lets go the np-f way (for now) ! Do de have an existing solution which covers our needs? My opinion is that this solutions are coming close but are not ideal and i am sure wie can do better. Do we want to invest the effort? 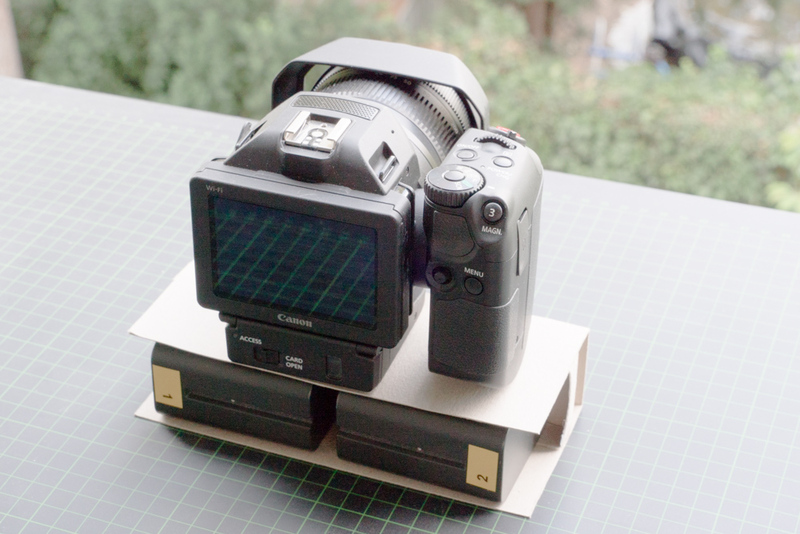 It can go further and gain some attention for the project when we come up with a good universal power solution which all the dslr-filmer out there would need. And maybe we make an exception and let it produce cheaply in China and do some good marketing and presentation to make it widely visible. But that's up to the project lead. 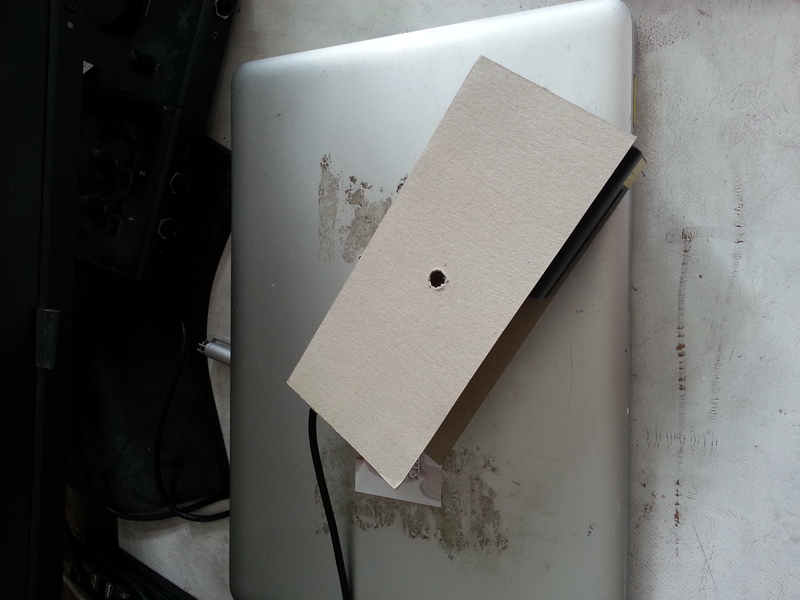 Or the simple diy 3d print way with eventually some bended metal and electronics inside. As i said in the audio recorder issue, we should focus right now on finalizing the AXIOM Beta, then we can build more open hardware devices like this. here are some pictures regarding the cable situation when plugged in, in the 'NP-F Brick' - design i suggest, just to have it saved for later..
Sony's NP-F batteries do have their own protection inside the battery. I disassemble one to check. This one in particular has two 18650 from panasonic, and it was built in 1997. This batteries are still being produced 20 years later and used in modern cameras like the FS700. So i think is a good route to build the battery system. The camera could have a universal power conector to change between different battery plates, so other baterries could be adapted as well. Like RED does with their cameras. Even an ATX power supply connector could do the job. We could also build our own NP-F compatible batteries (later) with Panasonic 18650 inside. The electronics seem not too complicated. Yes, it won't be very hard to design our own battery pack for the Axiom. 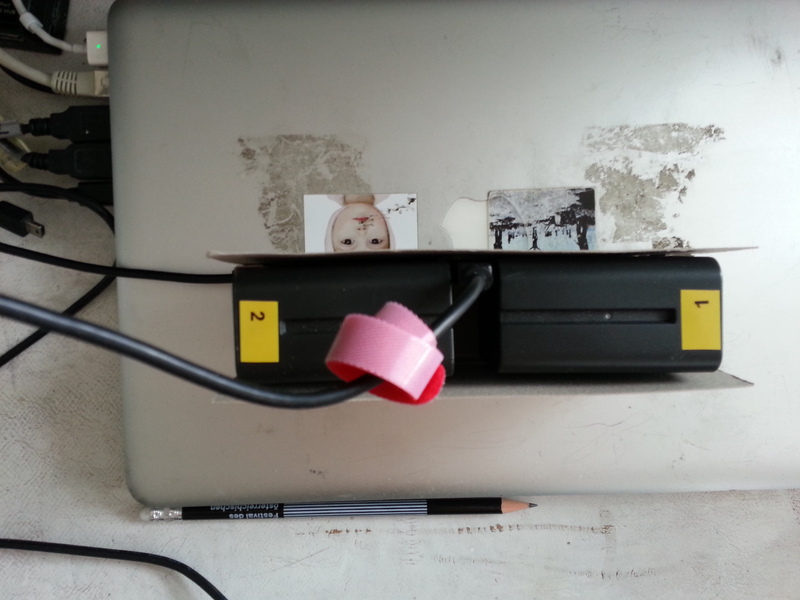 Here i made a Low Voltage protection. It will cut at 6V, (3V per cell) and it can be added to each Sony NP-F in case it's necesary. It will drain about 1mA, so is not the most power efficient protection. About the design of the case for the batteries i think the best is to place them behind the camera, where normally a DSLR will have a display, With a connector on the bottom edge, so if people decide not to conect the battery directly and to conect a cable to a remote baterry or power supply. I personally like the style that Nagra uses for their audio recorders, using two thumb screws to secure the baterry and a standard connector. Obviously not usign the same size. I think a brick about 80mm height, 100 to 120mm width could do. Using 4 18650 in vertical (2S2P). Is a size that will give enought room for 18650 and in the future for 2170 cells. We can scale the power of the battery adding cells in the same configuration and playing with the thickness of the pack in the same way that NP-Fs do. having like 2S2P, 2S4P and so. "maybe this could be interesting for the battery: https://t.co/EkJGtbcowJ "
I will start designing a "case/holder" of sorts. Sorry I am getting back to you all so late, I have been busy with school. 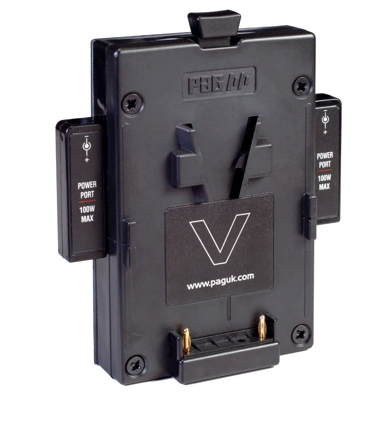 B- A more simple charger and batteries with their own low voltage protection and balancer. I belive the A would give simpler and cheaper batteries, but it requires a special conector, similar to what RC airplanes LiPo's use. I also mockup the design that i imagine for the final battery, using two aluminum thumb-screws to secure it to the camera body. Good progress towards an open source battery pack! And then the question is if we want the charge electronics inside the battery or the charger? I Sacrifice my very own japanese sony charger from 1997. Is still working properly so i think is a design to look for. The electronics has two very simple parts, a switching power supply, that can work with 110-240v, and a secondary with a "dumb" charger unit that works with constant voltage and limited current. Seems to be that the balancing is made inside the battery thru the PIC controller. Adding a PIC to the battery is possible, it will increase the cost and complexity but can be done (is been years since i programed a PIC in assembler). My opinion is that dumb batteries could work more than fine. 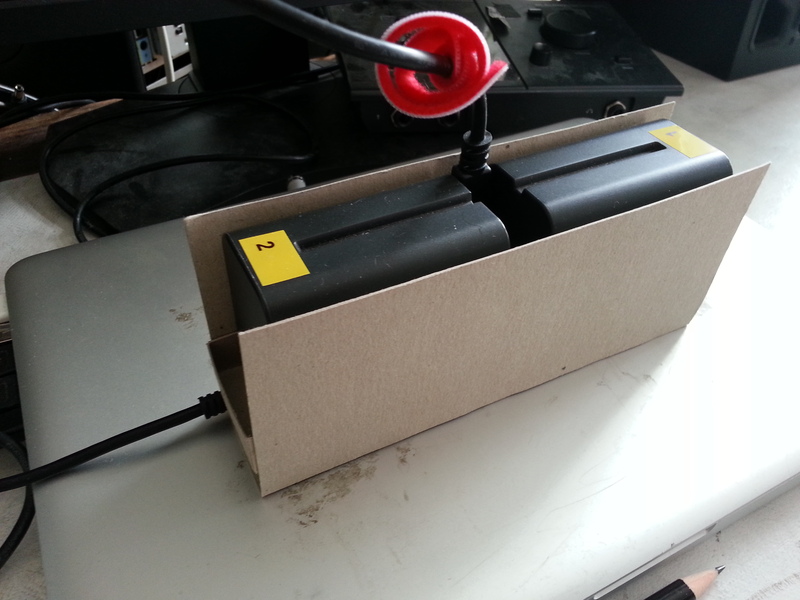 We could desing the batteries with an internal thermistor that can be read from the charger/camera side. The other advantage of a smart charger is that you could recover batteries with cells discharged under 3V. Something that the Sony can't do. What are the extra costs going for the more complex battery design? We can have different battery capacities so that you won't need to own more than two batteries. Does it need a 'PIC' to have status LED's directly on the battery? What are the extra costs going for the more complex battery design? @Menga i like your design approach. does the hight and width (-the space for the hdmi/sdi connectors) match exactly to the backside of the beta enclosure? what about separating the cells in two groups and have one or two screws in the middle instead of having them on the sides. 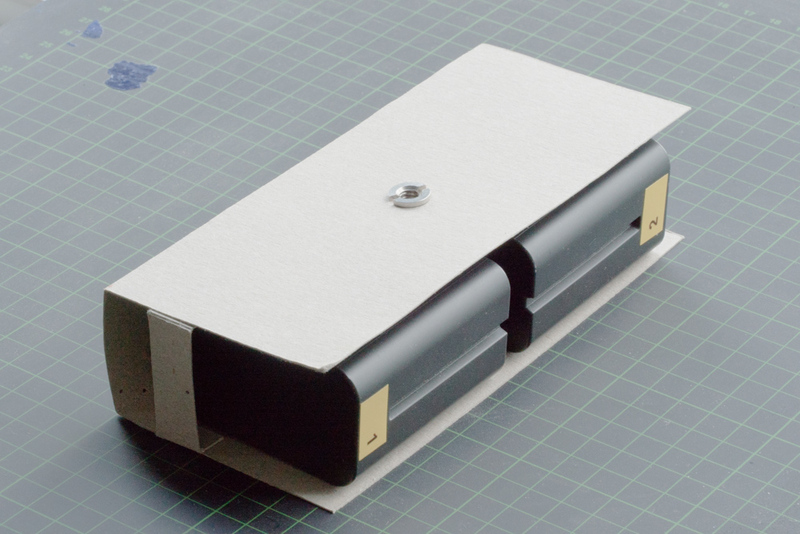 in that case we could also allow the package to be mounted under the camera and still be abel to mount it on a tripod. does 21700 cells also fit inside? it would be helpful if the battery can provide a usb power output as well. 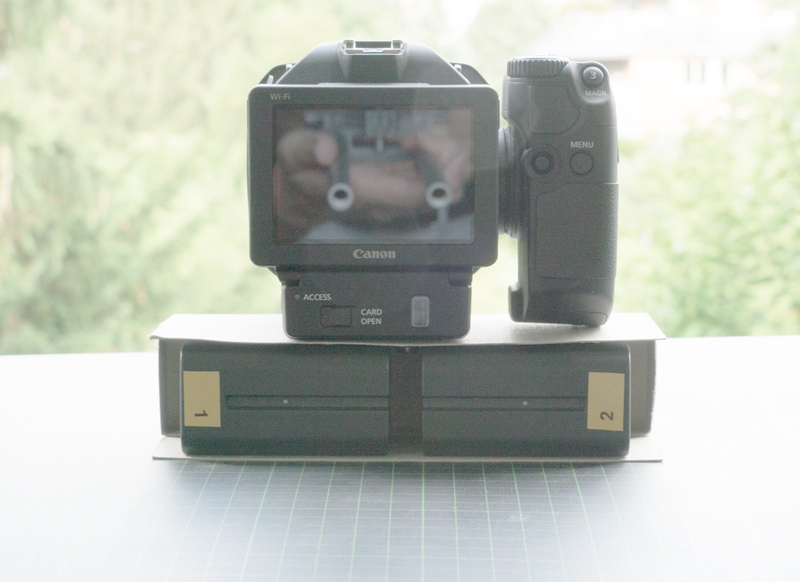 and maybe (i don't know if it makes sense to have it on the battery itself) a dc connector throughput to the camera + charging. because as far as i know we do cover the original dc camera input. what do you think, should we have connectors on the battery itself or better a plate in between battery and camera body? A and B are screwable onto each other. B and C are also screwable. C is an quick release plate which consists of both parts of the quick release system (male-female). C is not interesting for now. 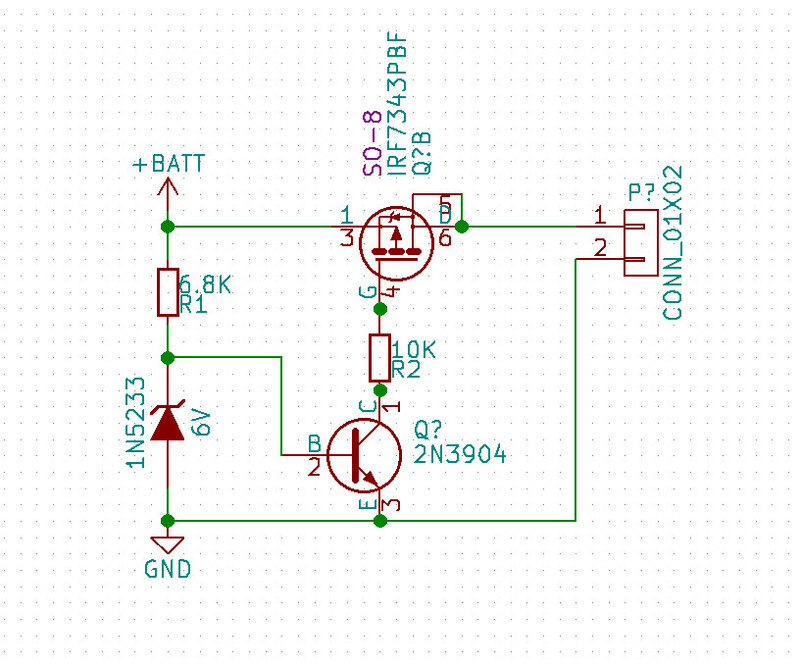 Well, you can make a led status without a PIC or any microcontroller. we could desing a status around a vumeter IC, like the LM3915., with the press of a button it will tell you the state of charge. The advantage of an analog state will be 0 current drain. Because you only read the battery when you press the button. Sony NP-f uses Atmel microcontrollers, that i assume are working around 4Mhz at 3v, givin a constant current drain of about 4mAh, which is a lot for a battery. One of the circuits that i look when searching for the battery was this old laptop battery, that has a separate circuit besides the protection. A microcontroller inside the battery would only need to "tell" the camera the voltage so the camera could know how much energy is left. Almost every other function (balancing, temperature cut-off, etc) could remin in the charger, because those are only critical when charging. 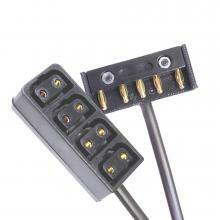 When the battery is been used, if the current is limited the only protection needed is a voltage cut-off. does the hight and width (-the space for the hdmi/sdi connectors) match exactly to the backside of the beta enclosure? No, i just made if to look if my estimate was correct, i cooldn' look to the beta enclosure cause every time i try to open the 3d model my browser crash. does 21700 cells also fit inside? Most batteries are welded together using a nickel strip, separateing the batteries would be challenging for the design, also for the pcb. I think we could follow more or less what RED did with their cameras, that have a standar rear connector that allow stacks of different modules. 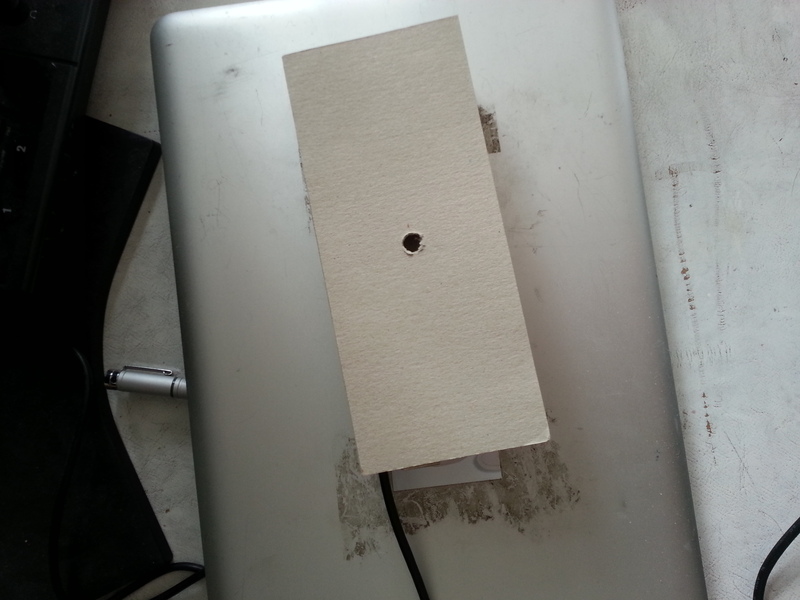 Like usb power output, phantom power for mics, etc. In my opinion the cheaper and more ecologic thing to do is to desing a simple pack with the cells (which are disposable, they have a limited service life) and aside, a plate or module with the electronics that controls said cells. A charger, balancer and battery state could last years and years, but a cell will only last 300 to 1000 cycles (that's why my sony charger is still alive after 20 years and the batteries aren't). I'm going to look what i can found on Atmel about battery managment, i'm sure they already have made microchips for that purpoise. +1 from me for moving the entire logic, DC/DC conversion and measurement electronics into a separate module and the cells with minimal protection-only circuit to another separate module. One question though is if voltage measurement alone is enough to evaluate battery capacity/health. I know laptop batteries for example monitor all currents going in and out over the entire battery lifetime and account for any aging phenomenons of the cells. i agree an all the electronic decisions (simple as possible battery - modules) you suggested, they sound good to me. for me it's fine to use 18650 cells only. for sure they will exist for a while. the measurements of the 'outer skin' which is the folded metal in between the cnc milled top and bottom (called caps) is 66 in hight and 95 with (because it is curved). the total hight inclusive the top and bottom cap should be 86mm (please double check). i measured it without the curved edge. is it possible to shrink the with by 5mm? 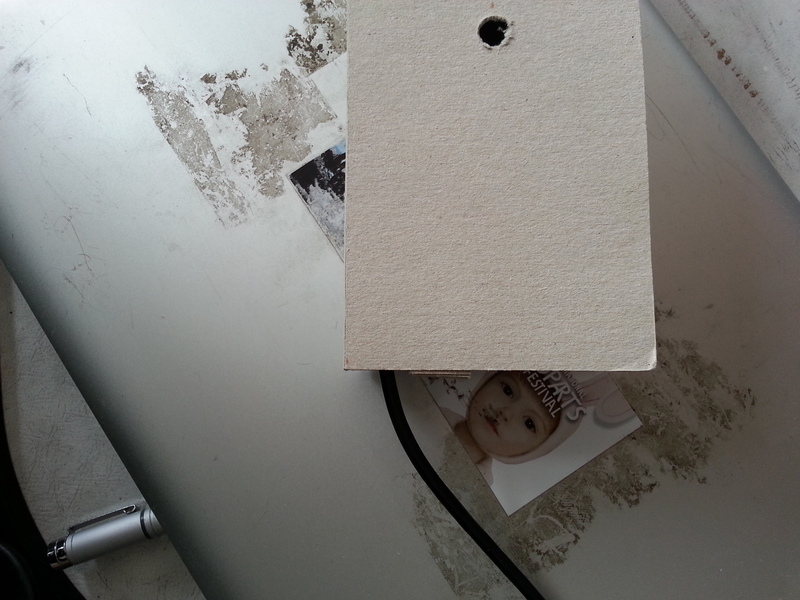 the montage to the camera (full) enclosure could be done by screwing the socket onto top and bottom cap. what about the electronic connection in between stacks? i am not sure if it is a good idea to use such an fragile and extended connector you suggested earlier. do we have other options? or can we protect the out standing part somehow? Laptop batteries don't actually do that, they have something that is almost planned obsolecence. For example, Dell uses a microcontroller that counts cycles anr/or usage hours, but not for each charger, they count the entire life of the cells as a whole (all of them in the pack). When a certain prefix limit is reach, the micro tells the computer, and the computer refuses to charger the battery. So is a "safe life" protection. The battery may be fine, but because they want to avoid a lawsuit if something happens they just block the battery after a a few cycles/hours. The laptop micros don't count the currents to know if a battery is charge or not, they just measure the voltage and comunicate ir digitally to the computer. Most batteries will naturally decrease the capacity over time and laptops can't know the difference. That's why when a battery is new the computer last 2hs on a charge, but after 2 years or so, it only last 20min, but the computer always tell you 100% charge, no matther how many mAh are inside the battery. Atmel has some sort of coloumb-counter in their chips for battery managment, but a shut resistor is required to sense and their software, i think, is not open source. Maybe. We could put the batteries sideways, but still need a litle space for the protection pcb and connector. We could do 95mm width 80mm height with this arrangement. If you refer to the atx connector in the mockup, is just a reference, there are much lower profile connectors avalible. if you struggle too much i would consider making it 100mm, it is possible but won't look very solid and well designed.. so i hope it is possible. I research the ATmega8HVA and is seem to be "self programming" meaning that a test bench is needed to charaterize each type of cell and program the IC. Also it apparently cost eight dollars!! i think is a little expensive for what it does. Meanwhile i research other more commonly used ICs and i will try to post a new schematic tomorrow and the charger that i forgot to finish. Here's the charger. It's basic but it should work more than fine with protected batteries. I research the circuits used in li-ion cells, and it seems to be that "protected" cells have low and high cut voltage and overcurrent protection up to 3amps. Most cells cost about 5usd each. Buying protected cells is the fastest ways to assemble a battery, but i could design a pcb that have the same circuit to leave in the battery case, and only replace the cells once they pass the service life. That would be the grrener and cheaper way to do. 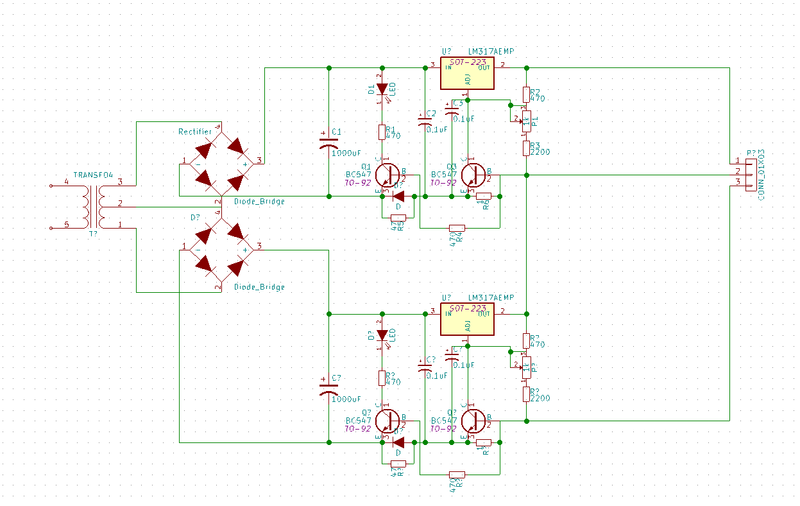 Also we can modify the protection circuit if we need more than 3amp of current. do you think that using 16 cells instead of 8 would be also possible with the same pcb? ps: i like the form factor so far (80x95x40mm) i did a dummy with 8cells. I finally made the Eagle work on my computer, i have to say, is almost unusable compared to older version of Eagle. What software do you use at Axiom to design the PCBs? Note that we are using Eagle 7.7.0 which is basically the last offline/old-license version before Autodesk took over. Also note that our long term plan includes switching to KiCad which has made great progress since it gets the CERN treatment. :O it's not open source! 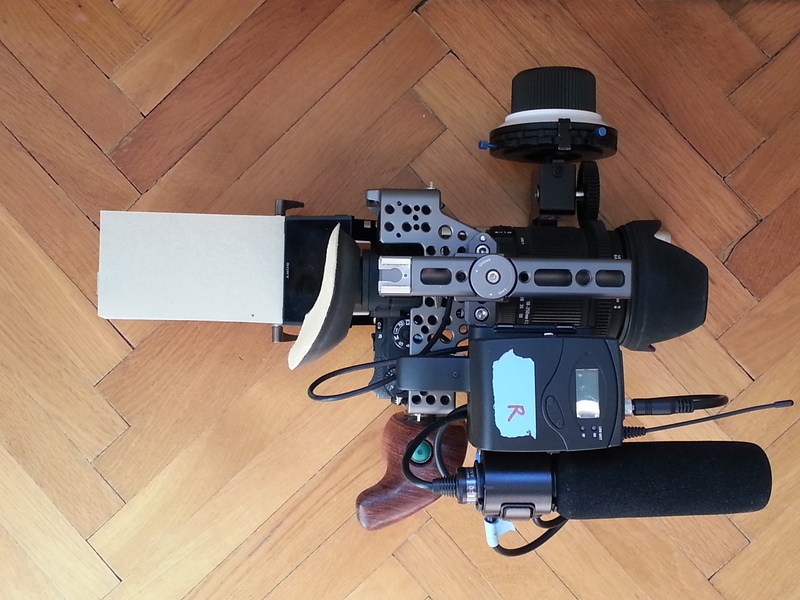 @Menga yesterday we worked on the design of the more mature and ergonomic camera body for the beta. a few questions popped up: is it possible to cover a smaller battery (8 cells) and big (16cells) with the same electronic design? would you like to design the battery exclusively for the axiom beta (box shaped) enclosure or also to fit on the bigger (and more power hungry) ergonomic enclosure version as well? do you think it make sense to combine it? 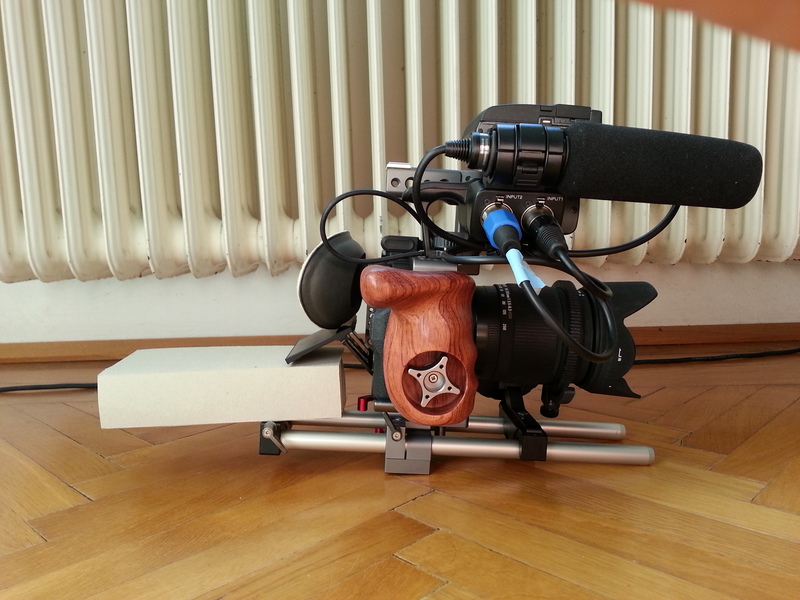 what the bigger camera would need: 50W output for 3-4h runtime. more flat shape of the battery. ev. 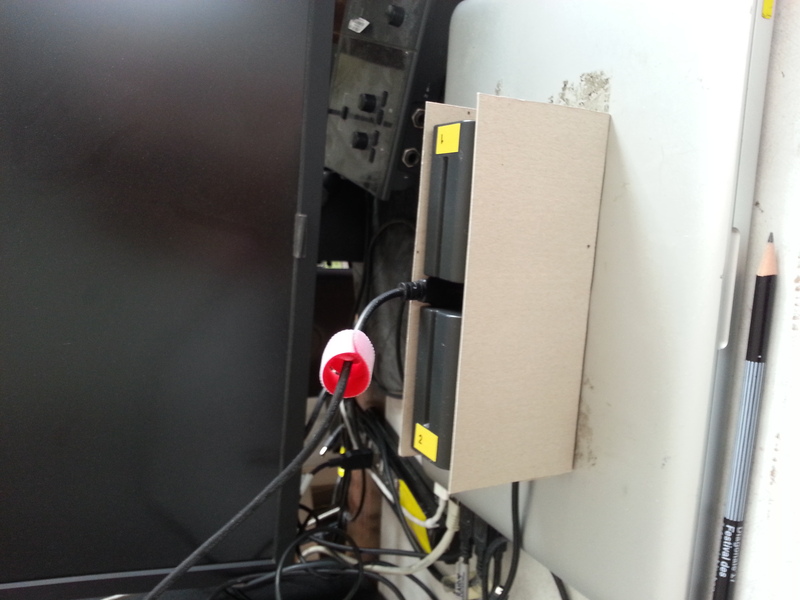 hot swappable design for uninterrupted power supply. as soon as we have pictures and fix measurements we will post details and renderings/fotos. 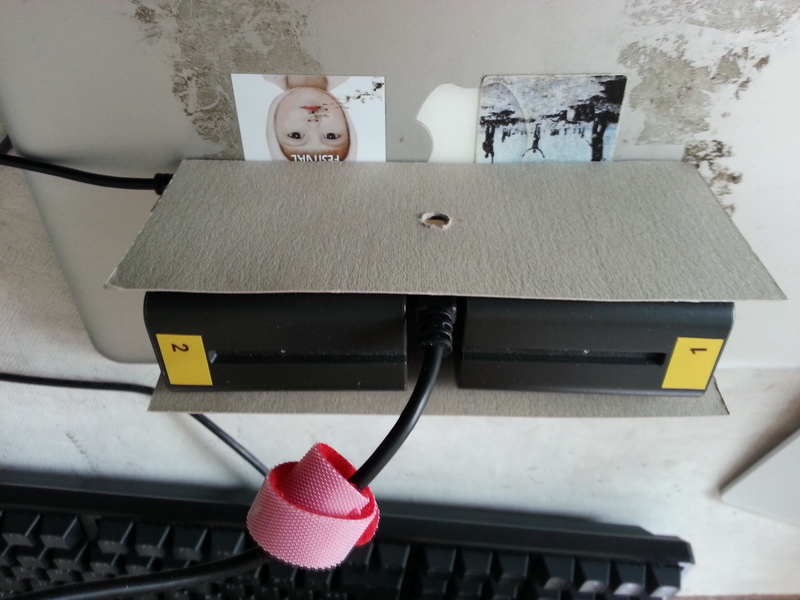 tell me if you are interested to help us on the power supply for the 'ergonomic' body. We were evaluating different enclosure options yesterday and of course we need to consider the battery shape/dimensions for those to fit. I think what Christoph was asking is if we can define how the cells (and number of cells) are stacked independently from the charge/discharge/monitoring electronics and what maximum current the electronics are currently designed for providing (you mentioned 3 Amps previously but is this total or per cell). is it possible to cover a smaller battery (8 cells) and big (16cells) with the same electronic design? Yes and no. The way i throught the design was in modules of 4 cells. 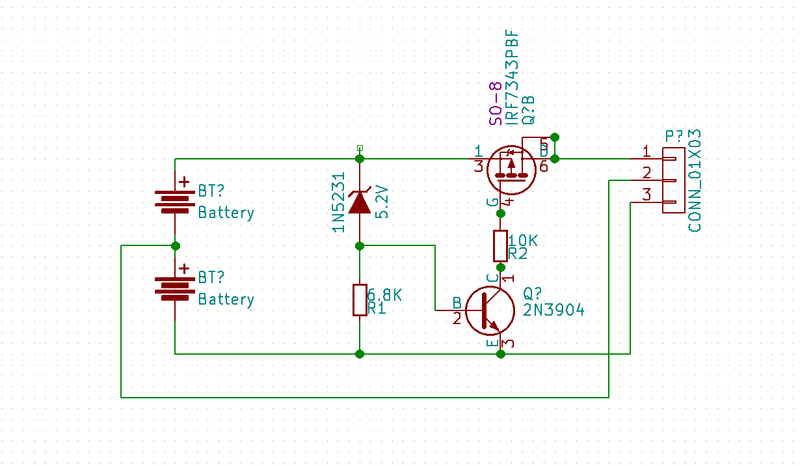 Using 4 cells with a single pcb on top, forming a unit of battery. This unit can be stacked to form the size of battery you want, in 4, 8, 12, 16 cells and so. From the electronics perspective there is no major change between the two. You can desing different cases that hold the amount of cells each camera needs. I think tho, that we need to find a common connector and holding for all the batteries. So you can interchange them between different models of cameras. What i see a little tricky is the hot swappable battery. The Current limit of 3 amps is per cell. I agree on the DIY kit, it shouldn be that hard to assemble it as a kit, just soldering the cells to the pcb. What about having a dual battery mount (two smaller batteries (8cells each) instead of one 16 cell battery)? would it be hot swappable then if you exchange one after another? Given that better stick with a Sony, Anton Bauer, Panasonic, or other manufacturer solution. we definitely should leave all options open to adapt what ever your existing battery system is. but for the ergonomic camera body for example we have (hopefully) the opportunity to make a hot swappable solution with two batteries in the right shape/capacity/weight. space and weight distribution is important and limited on that body. another question: davidak showed me a powerbank with spring loaded individual 18650 cells. would that be an option to avoid DIY and legal issues? is it secure enough without soldering? spring loaded individual 18650 cells. would that be an option to avoid DIY and legal issues? is it secure enough without soldering? I'm not familiar with european regulations, but i think it will be the same. About the spring loaded holder, I personally don't like them. Especially the ones made with two pieces of sheet metal as contacts. The ones with a spiral spring are ok tho. 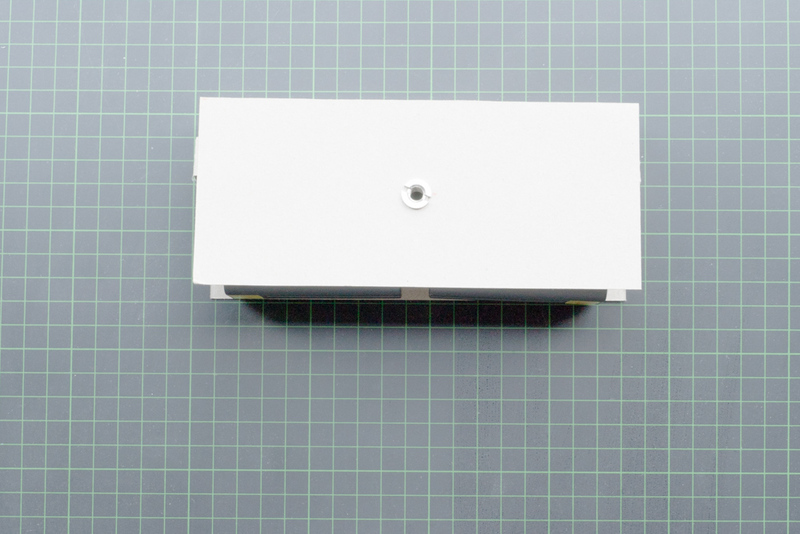 They take more space than soldering the cells, also the pcb have to be moved acording to the size/shape of the holder. Soldering the cells is not that hard to DIY, especially if you already solder SMD when assembling the Camera. "Open source battery - Doesn' t exist yet but if we ever do create one this chip might come in handy: http://www.ti.com/product/bq34z100 "
I saw that chip when looking over the internet, i found that it cost like 8usd a piece and you need some sort of programming board, so i discard it for now. Now that i have some free time i'm polishing my skils on KiCad and i'm gonna try to generate a PCB about 17x80mm, that will be mounted on top of 4 18650 cells (2 series, 2 parallel), with a 4pin connector, to isolate each cell so can be charged with both, balancer/chargers and usb chargers. Maximum current about 6 amps, depending on which mosfet is used. Sounds great! Way to go! https://www.youtube.com/watch?v=zjaUeh3jbFM Justin Lemire-Elmore demoes the smart pack he designed (and sells at his online store). Maybe he could share his design with you or OSH them. This guy rocks. i'm gonna look them and see if we can use some ideas. Right now i'm just making the simplest protection circuit, and in a future we will design a gas gauging and some chip that communicates with the camera, in the same way that Sony Batteries does. This is the first sketch of the pcb that i made. it's 18x72mm, to fit atop of 4 18650 cells. I used a 5pin connector so in the future could be used as a serial pin if the battery becomes "smarth", but that might be unnecesary for now. Other idea that i have is to use two connectors, one male and one female so packs can be stacked in parallel to add capacity. I see they used a simple cable to connect to the camera. We could use that if we can't find a proper connector. But as i see on common v-mount batteries, they use a series of banana plugs. I check Digikey and i coulnd found anything stardar about that connector, but can be made using riveted or theaded banana plugs, and pcb solde banana jacks (or even 3d printed banana jacks. Seem to be that those batteries use a 5pin connector, and i think each connector correspong to a cell. Some of them use only 2 plugs, but leave the holes of the other non used ones. There could be a correlation between voltage and the pin used.